You have to teach by example no matter what it takes. In skateboarding, it can mean having the best style or attitude. Dan Mathieu, Phil Bernard, Érik Lemay. 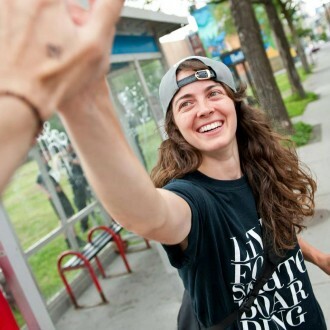 Ranked twelfth in the world of women’s professional skateboarding, Montrealer Annie Guglia has distinguished herself in a sport that continues to break boundaries. 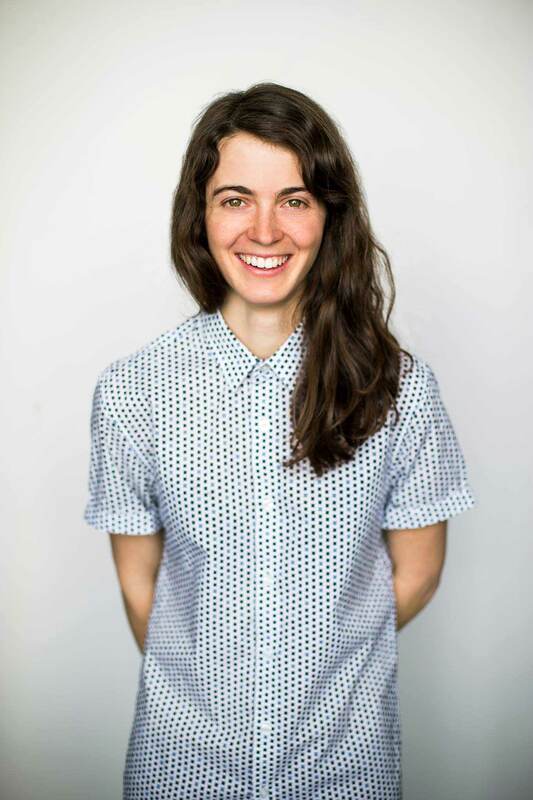 She is one of only a handful of women who practice the sport professionally. 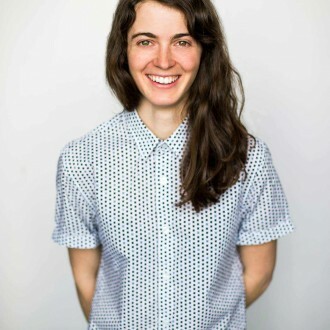 Once inspired by ‘skater girls’, she is now the inspiration of future generations. 1- First off, what got you interested in skateboarding? Skateboarding was introduced to me a bit by chance. Actually, my brother got a skateboard for Christmas in 2000. In 2001, he was skateboarding with his friends in the streets and at the Ahuntsic park. I thought that it was really cool. I would follow him around everywhere. The following year, I got one for my birthday or Christmas. From then on I made friends, started to learn tricks and just never stopped. I have always been someone who needs to move. My neighbour used to call me ‘little grasshopper’ and my parents called me their tornado haha! Skateboarding was perfect for me. 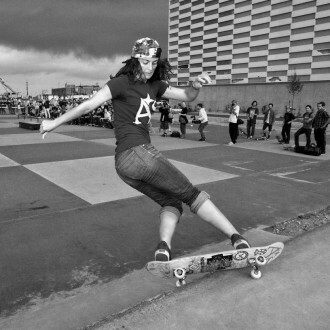 2- Throughout your childhood, did you have female role models who were skateboarders? Or in other sports or fields? 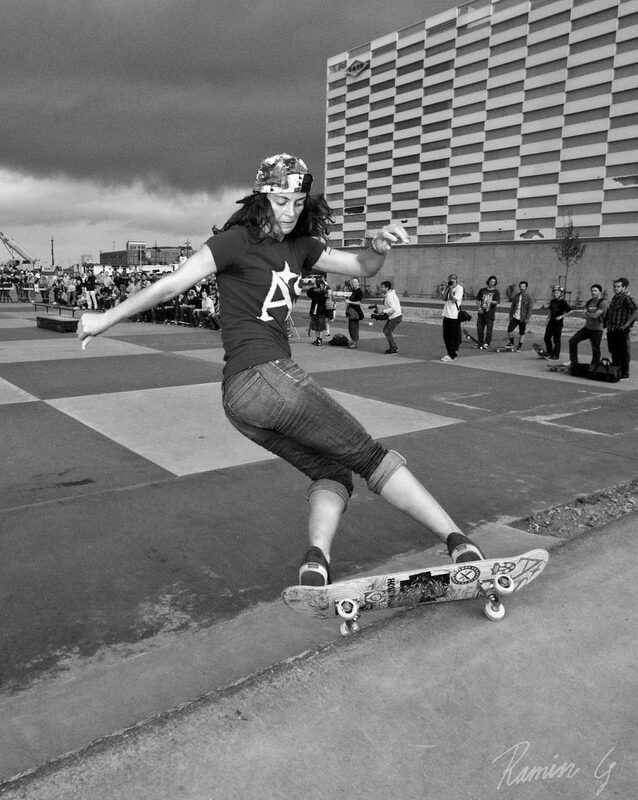 At the time, there wasn’t a lot of visibility for women because there were so few girls who skated. My first time seeing a ‘skater girl’ was Elissa Steamer in the Playstation Tony Hawk Pro skater game. Then in the summer of 2002, I met Anne-Sophie Julien at the Ahuntsic park. The fact that she was able to skate the half-pike really made an impression on me. She was my idol. In the spring of 2013, I read an interview with Margaux Walker in the first edition of Exposé Magazine. My second idol. Also, I heard about girls in California because of the the film Getting Nowhere Faster (2004). In 2005, I went to Toronto for the West 49 Canadian Open with Sophie, Margaux and other Montreal girls, which is where I met Vanessa Torres, Amy Caron, Lacey Baker, Lyn-Z Adams; all of the ‘pro skaters’ of that time were there. I placed ninth out of fourteen at that competition. I was 15 years old and living my dream, being able to skate with all of my idols. I think that it is very important in life as well as in skateboarding, to have role models with whom you can identify. It helps learning and self-improvement. Personally, all of those women and men played a huge role in my growth as a skater. 3- What do you like about this sport? First off, skate is a social tool that allows you to connect with a community of people who share the same passion. Personally, I met three quarters of my friends through skateboarding. Whenever I travel, whether it is to Barcelona, Berlin or New York, I bring my skateboard and end up meeting people who are similar to myself. Secondly, I like the qualities that it helps develop. Qualities that are transferable in different aspects of life. Skateboarding might seem silly or childish but it’s a very technical and difficult sport to learn. With skateboarding you learn that nothing comes easily in life and that you have to work for what you want. Finally, even though skateboarding is often practiced in groups, it is very much an individual sport. As opposed to team sports, if you have a bad day there is no one to blame other than yourself. You don’t have a trainer, a goalie, there are no rules and no predetermined “skateboarding periods”. If one day you don’t feel like skating, you don’t. If you feel like it, you grab your board and you go! If you mess something up, you can only blame yourself… Personally, I also play softball. It helps me grow in other areas like teamwork and strategy etc. but skateboarding is much more independent and “free”. 4- Do you think that women who skateboard train? In which ways? Absolutely. 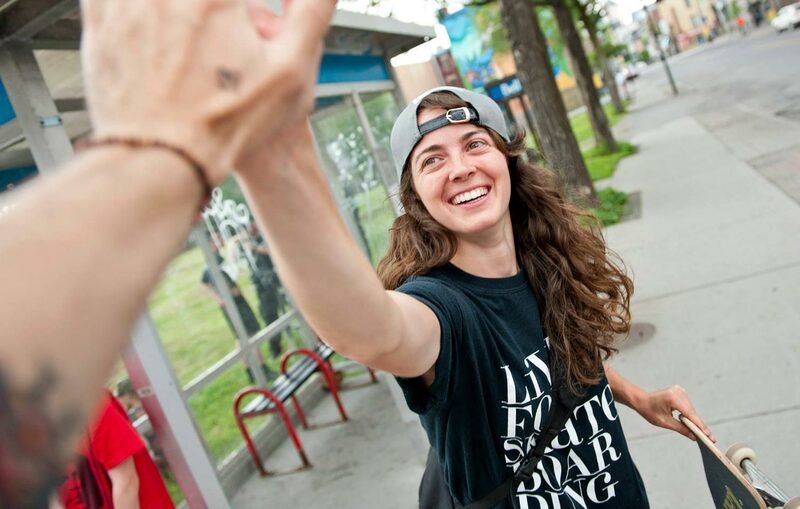 Generally speaking, female skateboarders train a lot. In my opinion we have less of a competitive spirit than in other sports. People who are competitive often have friends who to skate with throughout the year. This goes for girls as much as it does for guys. If you watch skate competitions, you’ll notice that skaters encourage each other during their runs which might seem funny from the outside. For example, you would never see that in skiing. Even outside of competitions, mutually helping each other is a part of the culture. People show each other tricks all the time. I think that it would be advantageous for girls to help each other out more especially because we’re a minority. The more girls there are in the sport, the more it would encourage other girls to skate. If a group of ten girls show up, even the less experienced ones will feel comfortable skating without the fear of being judged. 5- What do you think makes a good role model? You have to teach by example no matter what it takes. In skateboarding, it can mean having the best style or attitude. But being a good role model in the LGBT community, seeing as how we’re in it, might mean showing young people that it isn’t the end of the world and that it shouldn’t even be a problem. Showing young people that it’s important to be yourself even if others don’t accept it. A good way to fight against homophobia is by promoting positive lesbian role models that people will identify with. I don’t mean to say that we need to make homosexuality “trendy”, but I do think that a lot of lesbians feel a lot less out of place knowing that their hetero friends are crushing on Ruby Rose. 6- What is the ultimate destination for any skateboarder? Without a doubt California. Los Angeles to be more precise and Barcelona which has a huge skate park. The architecture makes it so that virtually everything is skatable, it’s paradise. I’ve been twice. But personally, my dream destination is San Francisco or Portland, Oregon. Last year I visited both places and it was as much for the skateboarding as it was for the people and the energy, I loved it. 7- What was the most beautiful moment of your career? There have been quite a few! I would like to say the two big tours we did with Skirtboarders (www.skirtboarders.com), so “Skirtboarders in mexico” and “Crossing Boarders Canada/Sweden”. In 2008 in Mexico, we were like rockstars! There were hundreds of people at each demonstration, the line for autographs was an hour long, it was sick. We didn’t know anything, Crossing Boarders was different. It was an an exchange that we did between Skirtboarders and No Limit, a group of girls who skateboard in Sweden. They spent two weeks here and we toured in Ottawa at La Havre and Nova Scotia. Then in 2010, we spent two weeks there and travelled from Umeå to Malmö. It was so much fun to be a group of 25 crazies in a bus travelling from one skate park to the next. Also, I remember the first time I visited California with the girls from The Side Project (Lisa Whitaker, Leticia Bufoni, Amy Caron, Lacey Baker, etc.). 8- What are your future projects? Currently, I’m writing a memoir entitled “Analyse du discours des groupes stratégiques dans l’industrie du skateboard en Amérique du Nord”. I’ve been working full time on it since January and hope to complete it between now and April next year. I will be interviewing executives from some skateboarding companies in North America in order to put together a portrait of the industry through the eyes of the main players. It will be super interesting! Following that, I would really like to position myself well within the industry but I don’t have any predetermined plans. On a side note, I’ve just joined the Technical Skateboarders team, a small Quebec company that makes skateboards, provides skate lessons, organizes events, demonstrations and competitions etc. I would love to be affiliated with them, give lessons and develop it in the short, medium or long term.